Our phlebotomy chair with a reclining back is the product of two years of designing and testing by a special consultant to a major medical organization. The final product is a phlebotomy chair that stands up to the rigorous use of a busy medical office. 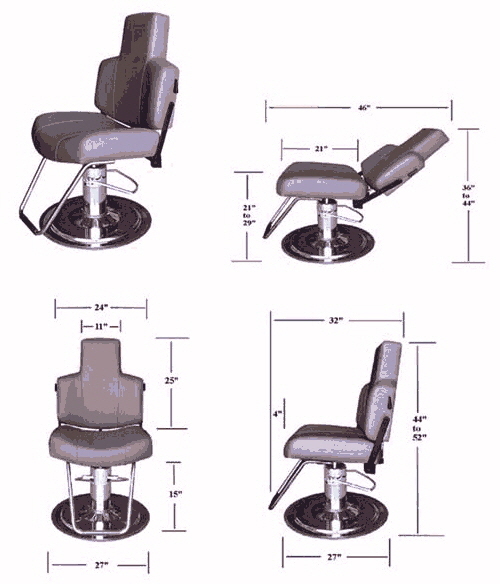 The phlebotomy chair is officially rated to hold a person weighing as much as 350 pounds, There is also a version of the phlebotomy chair with a rigid back fixed at a recline rated to hold a person up to 500 pounds. The phlebotomy chair back is reclined by pulling either one of the two finger pulls on the back of the phlebotomy chair. Inside the back cushion of the phlebotomy chair is a gas cylinder which facilitates the raising and lowering of the back. The back of the phlebotomy chair reclines as far an angle of 140 degrees. 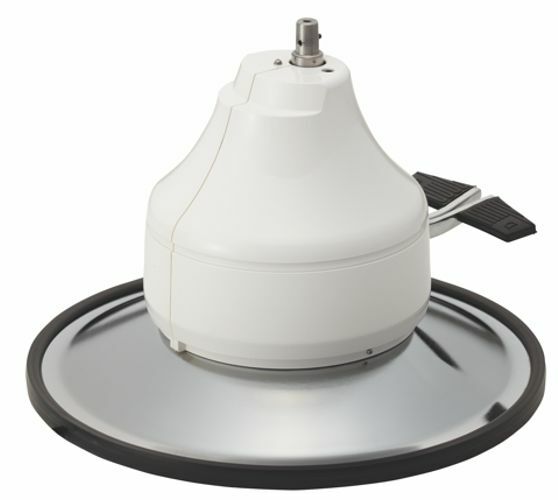 The hydraulic base plate on the phlebotomy chair is an wide 26 inch diameter for added stability. The hydraulic pump of the phlebotomy chair is extra heavy duty which is what allows it to easily lift heavy patients and provides years of effective service. The pump lifts the phlebotomy chair 8 inches from its lowest position. To raise the phlebotomy chair, step on the foot pedal of the base. To lower the phlebotomy chair, step all the down on the foot pedal to release the phlebotomy chair. There is a lock mechanism in the base that when engaged, prevents the phlebotomy chair from turning. Engage the lock, by pulling up on the foot pedal with your toe. Release the lock by stepping down lightly on the pedal. The phlebotomy is manufactured without arm rests as standard. Two sizes of arm rests are available as an option on the phlebotomy chair. Arm rests may be ordered in either a 2 1/2 inch or 4 inch width. The arms and armrests are fixed and rigid. They do not adjust. Complete KP9020 Phlebotomy Chair on electric motor base with standard 24” diameter round base plate.